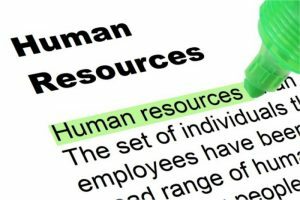 If you have a website with freelancers creating content for you, then you will be adopting some sort of Human Resources (HR). After all, HR is all about the managing of people to for effective organisational performance. The problem is that many website owners and managers relating to websites do not have much experience with HR along with the best processes to adopt to make sure you get the most out of your freelancers. You may think that paying ‘X’ amount for ‘X’ words for an article is quite black and white. However, the quality of the content and the willingness to do more work for you is all influenced by HR. For this reason, here are some HR approaches to help you manage freelancers. Unlike other jobs where people will happily do overtime to finish the job, freelancers enjoy writing about what they want but, more importantly, care about the money they receive for doing the work. For this reason, money is a huge motivation for freelancers and should not be ‘messed about’ with in anyway. Always pay your freelancers to the pre-agreed date and if you are going to pay later or sooner, let them know by email. Transparency, when it comes to finances, is key. It is important to make sure freelancers are motivated to continually work for you. Although there are probably hundreds, if not thousands, of freelancers that could write for you, having to re-advertise to attract new freelancers is costly process, both financially and in terms of time. Therefore, you should want to maintain your workforce as much as possible. Above all, you need to make sure your freelancers know that you are available to chat, by email and even over the phone, to address any queries or concerns they might have. No matter how minute or large the problem may be, always make sure the freelancer/s know that they can come to you to talk and not feel bad for doing so. This will help to develop a relationship between the freelancer, yourself and the work they are doing, providing more reason for the freelancer to want to work for you, since they are being treated nice and fairly. Should You Invest Outside of PPC for Advertising?